I hope mum’s got a plan. So it dawned on my today that I might have made an assumption about Wednesday’s strip. 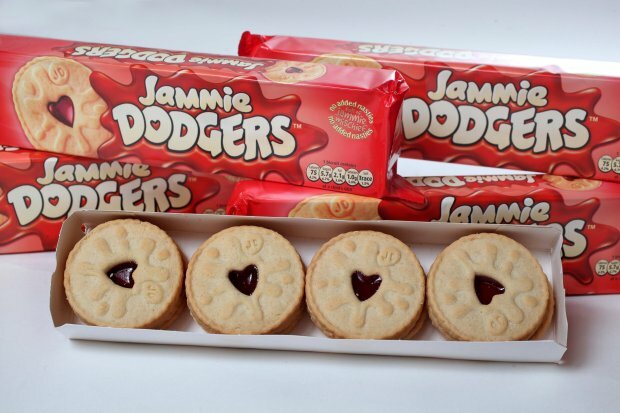 Not everyone knows (or appreciates) what Jammie Dodgers are. They are a wonderfully British cookie (or biscuit and they are referenced to in the UK) that consists of a berry jam sandwiched between two shortbread cookies. You can get these things locally from either Word Market or we have these shops called Rocket Fizz. I absolutely love these things and apparently so does Amelia. Look at them… look upon the gloriousness! They look very similar. I’d imagine they are a close cousin to the Jammie Dodger. I’ll have to give these a go sometime. Whoa! I just noticed the contrast between Lucy’s clothes and those of her mom. It’s like night and day! I think the only thing we have in the states that’s like a Jammie Dodger, Would be the Little Debbie ‘Jelly Creme Pies’ https://www.littledebbie.com/102.53/jelly-creme-pies . Close. There’s some other Knock-off’s you can get at local supermarkets, but they’re not the same. I think you can find Jammies online through food importers. Darned mothers and their darned knowing everything. Darn it! I love World Market. Too bad there isn’t one near me. I’m a saaaad bear. Mamma knows best, even if we don’t want to admit it at the time. We’ll keep the light on for ya. The problem with them, of course, is that there aren’t enough in the package. That box wouldn’t make it thru breakfast for me. Jamme Dodger, Jammie Dodger…. oh yeah, that was the name of Rita’s boat in “Flushed Away”. Made out of bits and pieces of just about everything but cookies. I guess they wouldn’t last down there in the sewers anyway. Oh yeah. I do remember that now.